Can you Airbnb Napa Valley? We get this question all the time from wine travelers. The popular home-sharing service seems ideally suited for this tourist destination. Sure there are plenty of amazing hotels in Napa Valley. 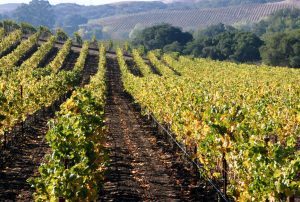 The truth is you can find just about every high-end amenity you can dream up at the resorts, hotels, and inns that share the Napa countryside precious Cab and Chardonnay grapes. But sometimes it's just nicer to head back to somewhere that feels like home. That's where the home-sharing services like Airbnb and TurnKey step in. Ever since technology made sharing your home with strangers easy, Airbnb Napa has been full of options. The local residents sensed correctly that there was a gap in the Napa accommodation options. Wine lovers traveling with families or larger groups needed a place to stay together. And some single travelers enjoy the comfort of staying with a local family. That is why Airbnb Napa exploded in popularity. Is Homesharing Legal in Napa | Can I get kicked out of my Airbnb in Napa? The immediate popularity of services like Airbnb meant there was little time to think through their impact. Local governments didn't have the time to plan or organize an effective response to the rapid adoption that took place. That means the early days were a bit like the wild west. Anyone and everyone could put up their shingle and start acting like a little Napa bed and breakfast. The city of Napa finally took charge and got a handle on this new reality around 2015. They started passing laws that will help to stabilize the industry and to give guidance to the would-be hosts. They also started to collect the same taxes and fees that are typically paid when someone stays at a local hotel. These were welcome changes for locals who feared the Airbnb Napa explosion would hurt their local communities. The new rules passed in Napa state that anyone who wants to operate their home as a legal bed and breakfast must register. The city then reviews the applications and determines who will be granted legal status. They review these properties on a regular basis to make sure they are following the rules and playing nice with their neighbors. The owners of the Airbnb Napa properties that are not registered and approved can be fined. If someone stays at the property and the local authorities find out, the owner is fined $500 for the first offense and $1,000 for each subsequent offense. When you are booking an Airbnb in the city of Napa, look for this in the listing Legal hosted rental, permitted with the city of Napa. There will be a code after this that is the permit number. 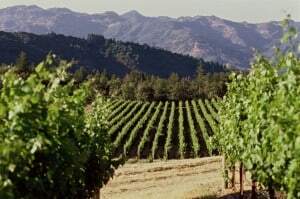 We have searched extensively for ways to save on Airbnb stays in Napa Valley. We have come to the conclusion that you should save your time. While there are a few sites that claim to have Napa Airbnb deals, we rarely, if ever, deliver the goods. So we suggest you don't waste your time chasing a discount down these rabbit holes. If you have flexible travel dates, you will find Airbnb rental rates in Napa drop during the "off-season". This stretches from January until the end of March. This is when the weather is the least appealing, but the wine still tastes great. If you would rather find a traditional hotel or inn that is affordable. You can also look at the Airbnb alternative called Turnkey. They have a similar inventory of Napa vacation rentals and they often offer discounts. This is the fun part. There are a lot of cool rentals in Napa. You can book an Airstream trailer, a castle (or pretty close to it), a cliffside retreat and even a tree house. We picked out three Airbnb Napa spots we like. Take a look and see if one matches your needs. We like to stay close to major towns. It makes it easier to walk home after your last few wine tasting stops! Don't forget to research travel insurance when you plan your Napa trip. With the recent natural disasters and general unpredictability in California, you want to be protected. This is 800 sq. ft. legal rental in downtown Napa was recently renovated. It features two private patios, premium bedding, two bedrooms and a living room. You have access to the yard, so relax in the hammock after a long day of wine tasting! The owners are very friendly. They also have a lot of knowledge about the local wine scene. Mention that you heard about this unit on California Winery Advisor and they will leave a complimentary bottle of wine in the unit! Make this charming St. Helena cottage the starting point of your Napa wine tasting adventure. The cozy accommodations are perfect for a couple looking for a wine country escape. Park your car and walk to the surrounding wineries and restaurants. The newly updated kitchen is perfect if you want to stay home with a bottle of wine and prepare your own meal. Enjoy a chilled glass of wine as you relax on the front porch. This 776 sq foot residence is newly updated and has all the amenities you need on a trip to Napa! So this is pretty unique. A 31-foot Airstream that has been customized by the owners. This is an affordable way to position yourself in the middle of wine country. The camper is tricked out and feels like a hotel room. The plumbing is all connected, so the water pressure is good. The owners have some rules like, "no cooking bacon" and "no kids under 12", but for the right person, this is a gem. It doesn't get more basic than this cabin on the edge of Napa Creek. Are you looking for some seclusion or a place to concentrate? This is the place for you. It also happens to be one of the cheaper places you can hand your hat in Napa. This does have some modern conveniences squeezed in. There is a flat screen TV and wifi access. You can take a short walk to do your food shopping and there are some outlet stores close by. Don't buy too much though. You won't have anywhere to store it!